Peter Bradley Adams first caught my ears a few years ago, and he has graced them with his folky croon ever since. I am a sucker for talented singer-songwriters and PBA is a perfect example of that title. On June 14, he will release his new studio album Between Us and I strongly suggest that you check it out. I have a small treat from the new album to share with you, compliments of the man himself. 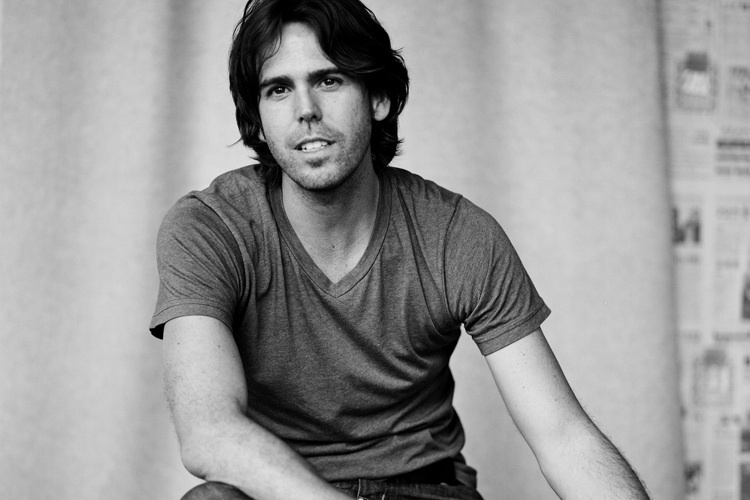 “Full Moon Song” is a great representation of Peter Bradley Adams’ music. His voice meshes perfectly with a lightly plucked acoustic guitar. He establishes kind harmonies that lead into haunting strings and keyboard that paint the background. These intricacies represent a growing maturity. Let me premise this post by saying that recent Alternative Rock is very hit or miss with me. While I’m a big fan of the work of The Killers and Radiohead, I have trouble listening to Alt/Rock bands that have sunk into the trap of post-punk (and no the Killers are not post-punk). Airborne Toxic Event, however, is doing everything right. They maintain their label as Alt/Rock, but also delve into some creative Indie creations, and this is well represented in their second studio album All At Once, which was released on April 26. 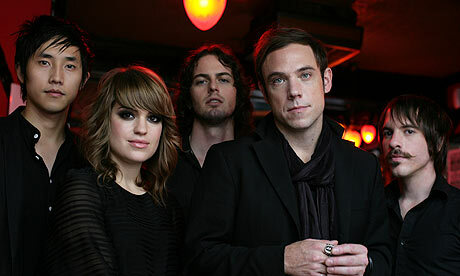 The Airborne Toxic Event first tickled my fancy with their DeLillo-inspired “White Noise” name. I am a huge DeLillo fan and “The Airborne Toxic Event” section of “White Noise” is wonderfully symbolic and well-written. I’m an English major. This stuff excites me. “Sometime Around Midnight” first drew me into the band. The song, which appears on the band’s first studio album, is excellently done. It, itself, is a rising crescendo and the alluring opening is excellent. You can actually hear this opening in the third track of the band’s new album. What? Yeah, the song “Changing” features the first few notes of the song (in the video it is on the radio and turned off by band members) and this creative beginning is awesome. I love band’s that allude to past work in their newer songs (see the Beatles). “Changing,” therefore, is an apt name.